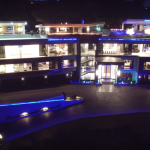 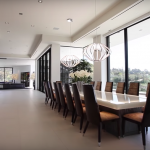 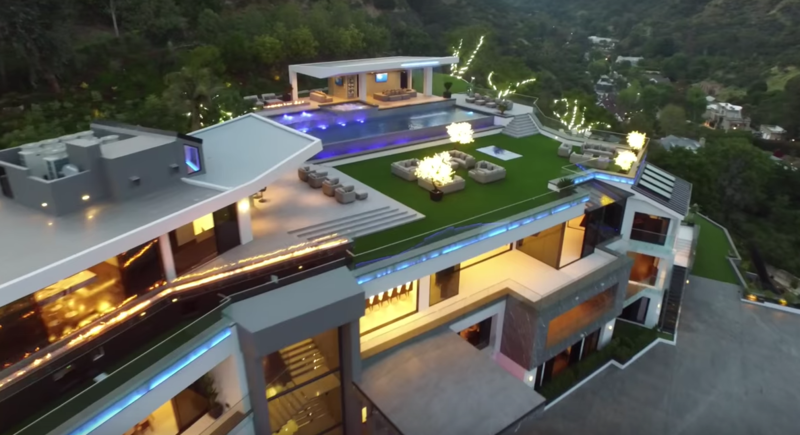 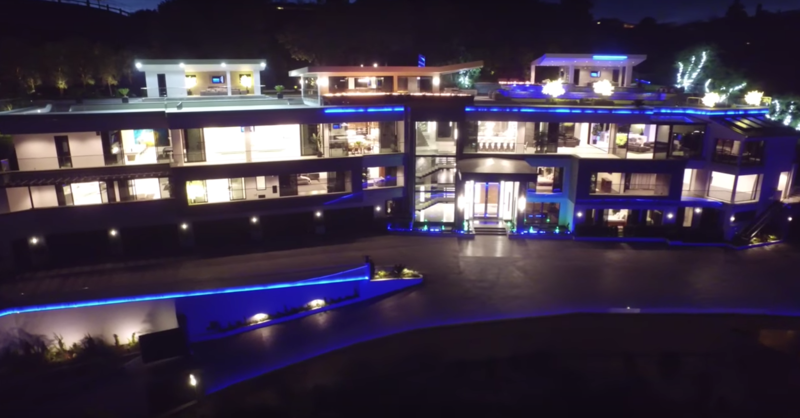 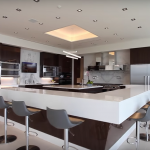 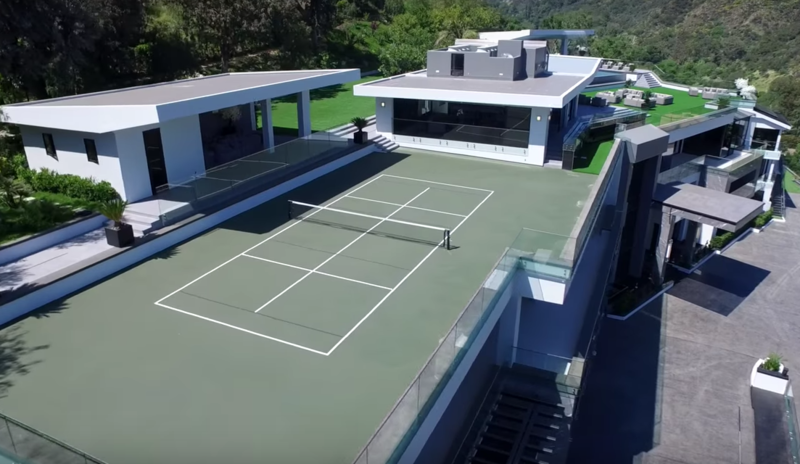 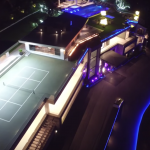 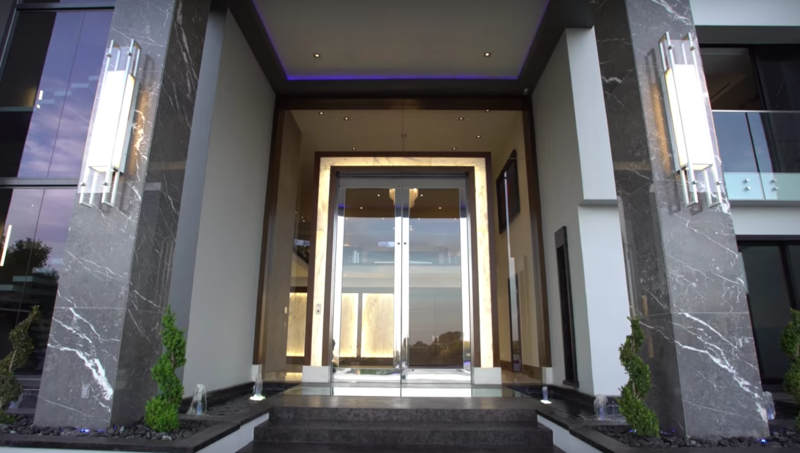 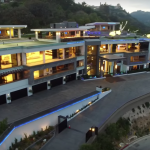 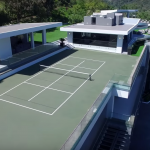 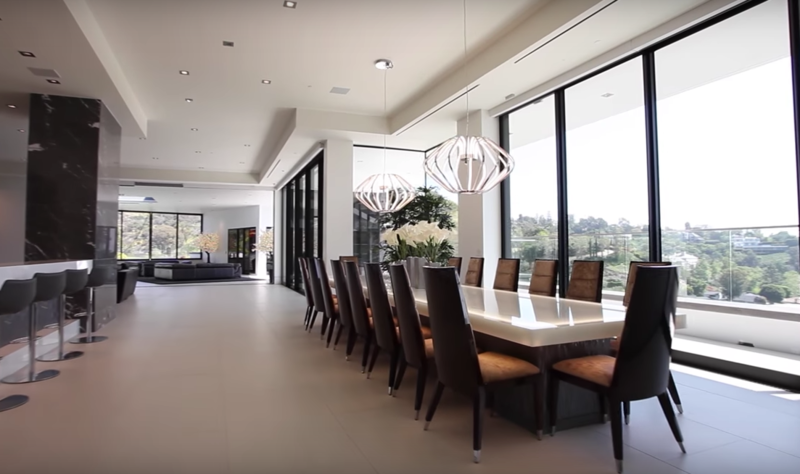 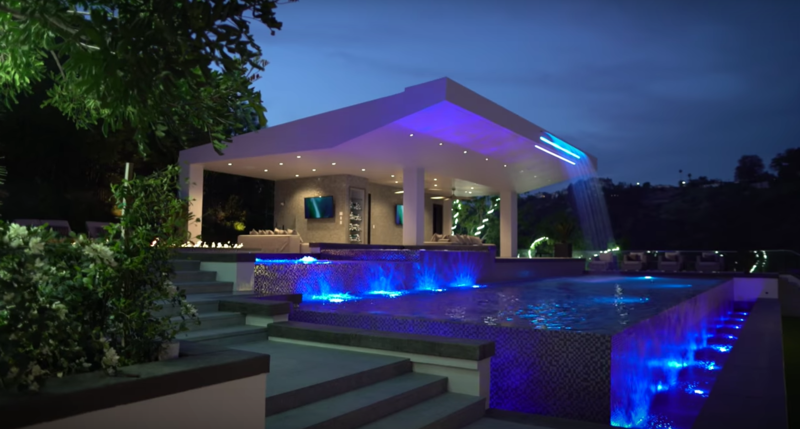 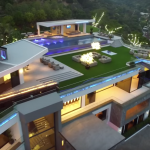 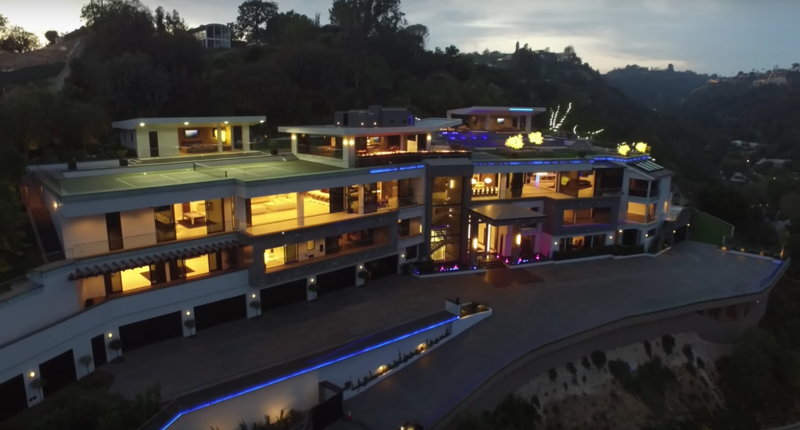 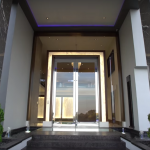 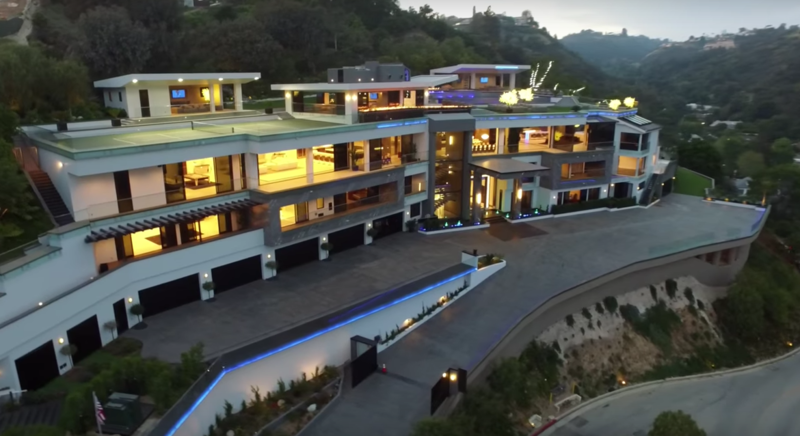 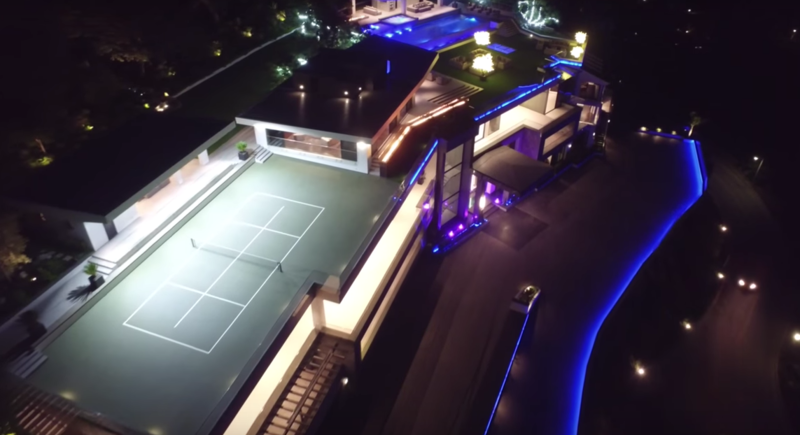 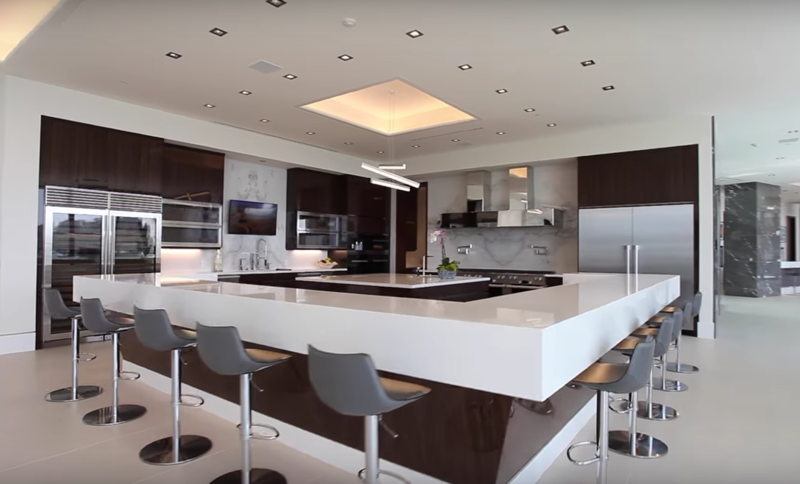 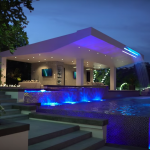 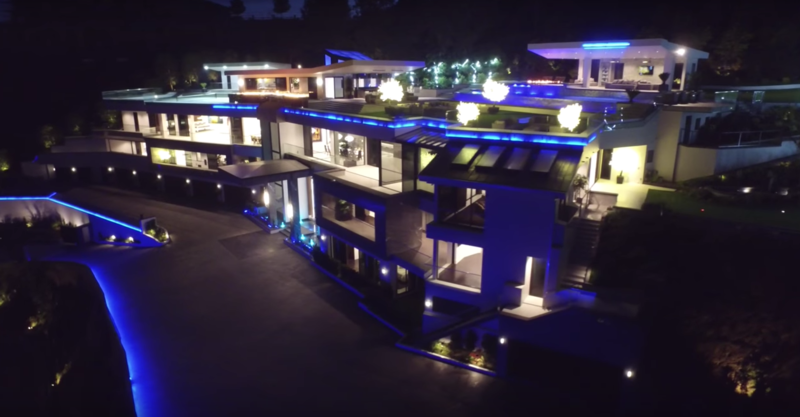 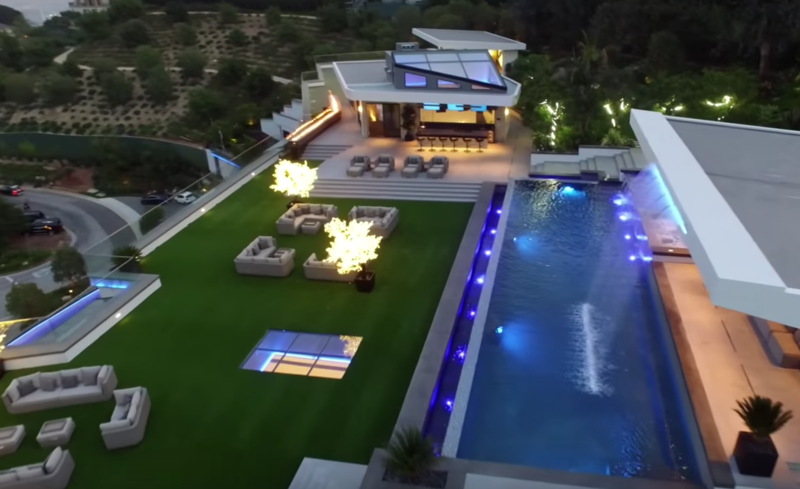 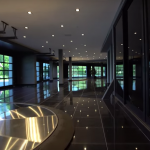 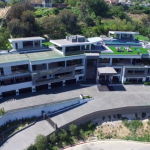 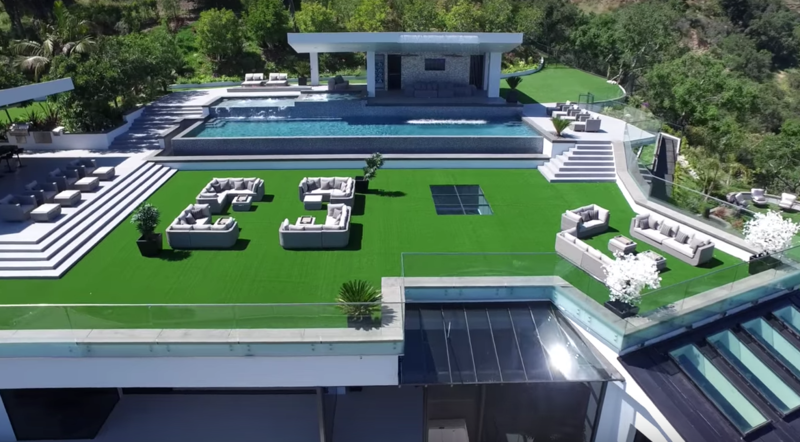 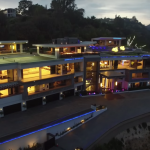 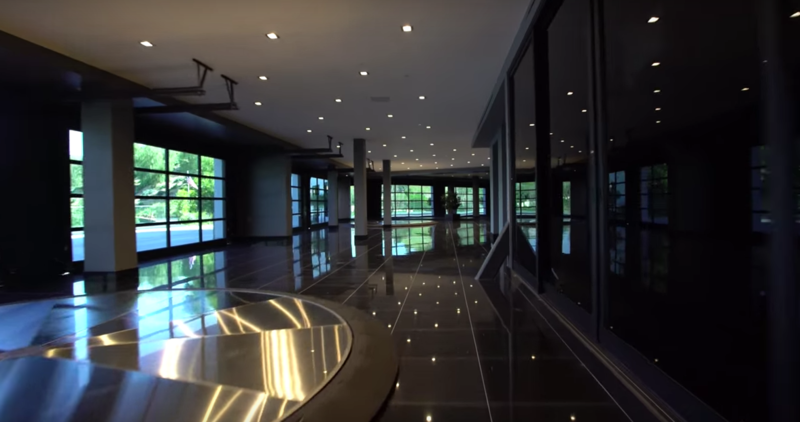 This newly built modern mega mansion is located at 10979 Chalon Road in the Bel Air neighborhood of Los Angeles, CA. 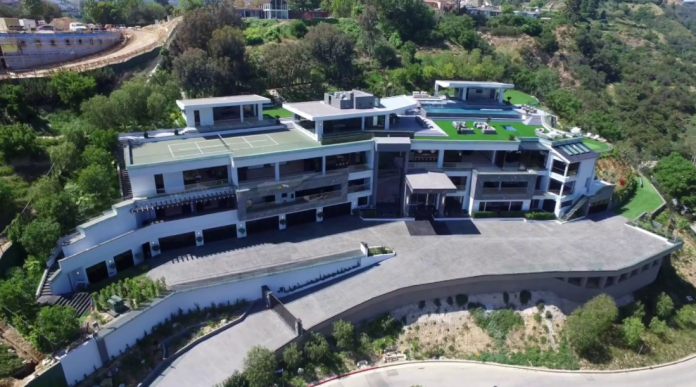 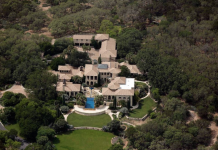 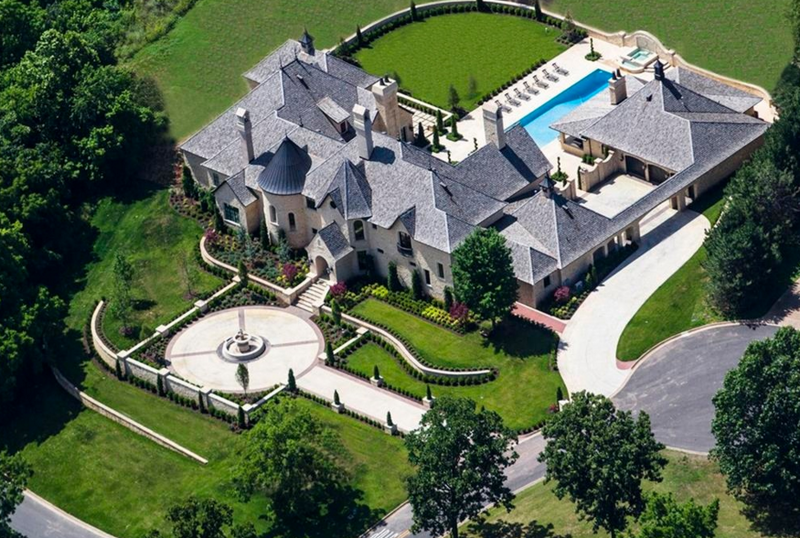 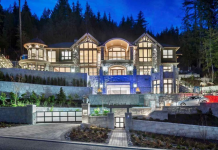 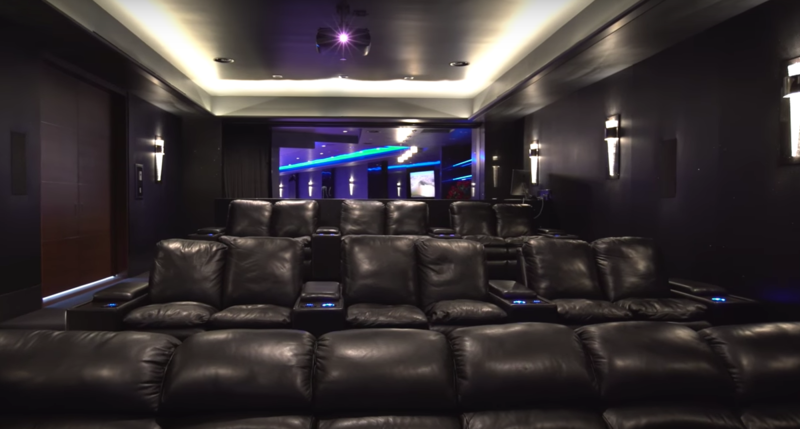 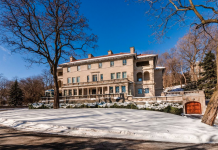 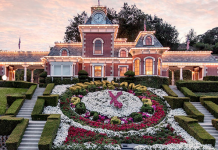 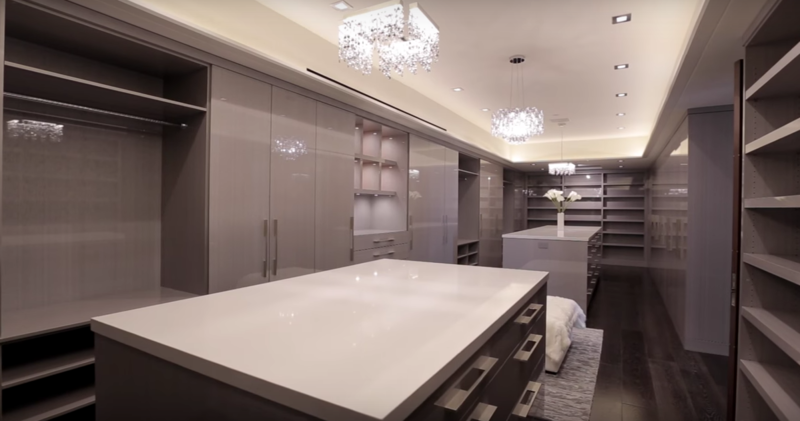 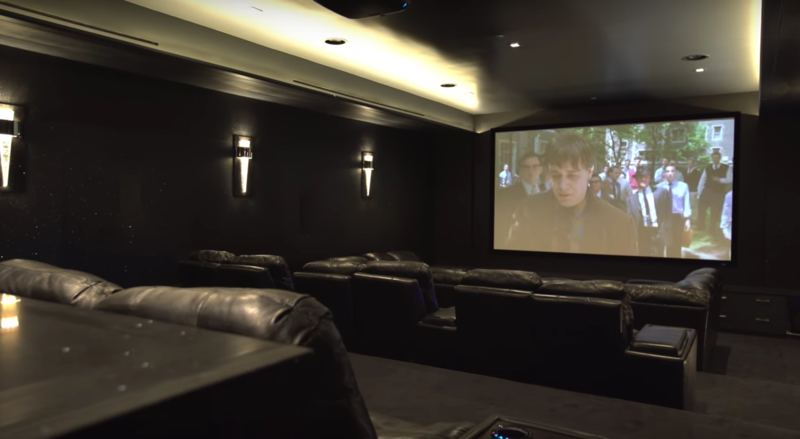 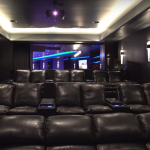 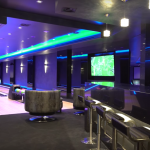 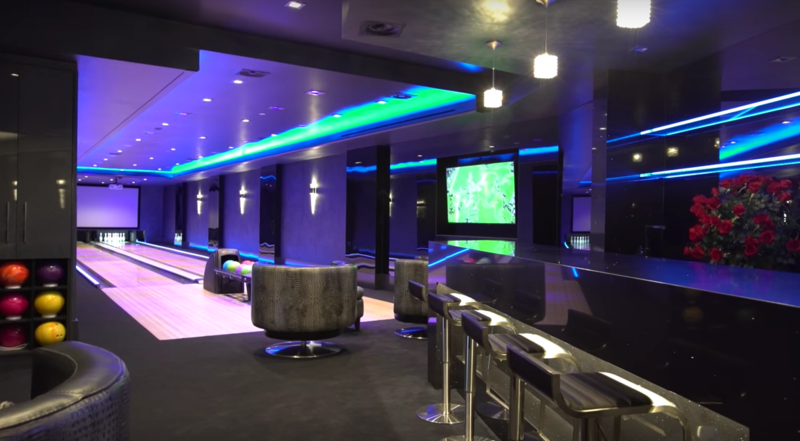 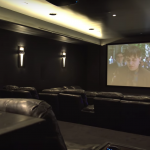 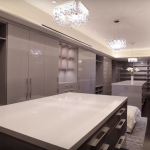 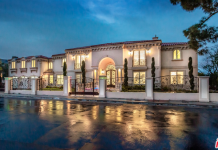 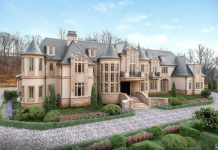 It features approximately 31,000 square feet of living space with 12 bedrooms, 24 bathrooms, multiple staircases, elevator, multiple living & dining rooms, gourmet kitchen, 5 wet bars, wine cellar, home theater, 2-lane bowling alley, salon/spa, 14-car garage and much more. 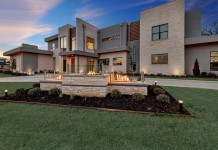 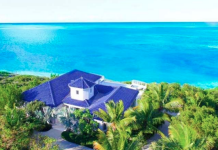 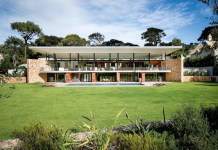 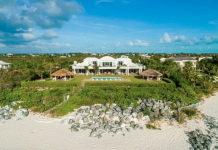 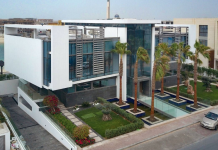 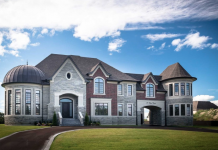 Outdoor features include a gated entrance, motor court, balconies, water & fire features, infinity pool, spa, pool house, BBQ, tennis court and a putting green.